I’ve had quite a few people ask how I was enjoying resting on Pregnancy Disability. While I’m grateful that California has this option open for myself and others, I haven’t had that many days of rest per se. Instead, I’ve been running around getting things ready for our baby at home and away. Some errands I’ve been able to complete relatively quickly, others took longer. 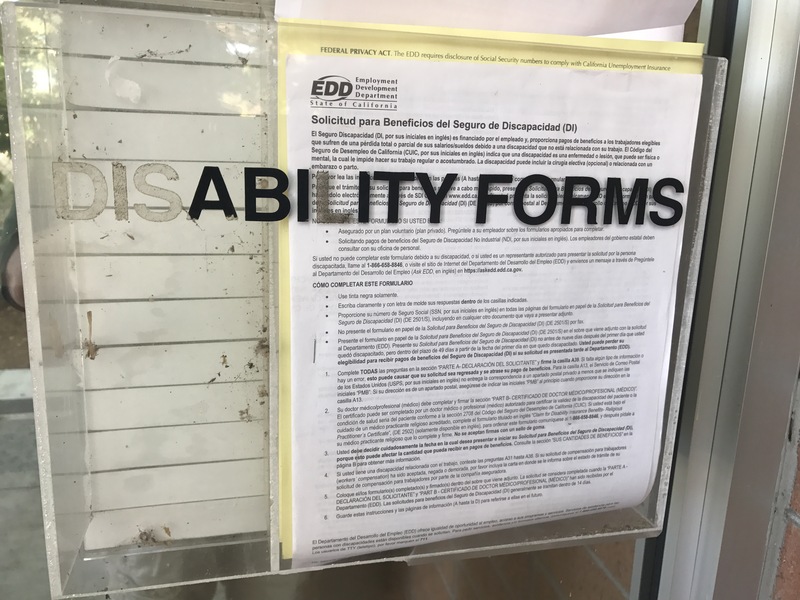 One of my most recent ones, at a state disability office took most of one day. As I entered I saw they still had not fixed this sign on the door for the forms. Matt and I had discussed several times how we would like to get some hands on practice with a baby before I give birth. Our friends Joe and Katki wanted to go see “Guardians of the Galaxy II”, and were delighted to have us babysit their four and a half month son, Ishan. When the baby was dropped off to us, he was peacefully dozing.